Sweetener is the fourth studio album by American singer Ariana Grande. It was released on August 17, 2018, through Republic Records. 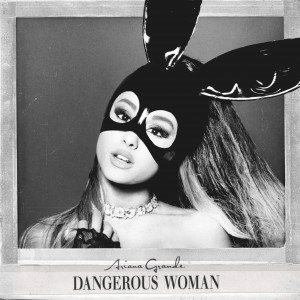 The album is the follow-up to her 2016 studio album, Dangerous Woman , and features guest appearances from Pharrell Williams, Nicki Minaj and Missy Elliott. The album received universal critical acclaim, debuting at number one on the US Billboard 200 with 231,000 album-equivalent units in its first week, of which 127,000 were from pure sales. The album was Grande's third release to reach the top position in the country, and subsequently marked the largest opening week numbers of her career until Thank U, Next (2019), released approximately six months later. It also topped several international album charts, including in Australia, Belgium, Canada, Ireland, Italy, New Zealand, Norway, Portugal, Spain, Sweden, Switzerland and the United Kingdom, earning a gold certification in the latter. Sweetener won the Grammy Award for Best Pop Vocal Album at the 61st ceremony, marking Grande's first career Grammy win. The album has spawned three top-twenty singles in the United States. The lead single, "No Tears Left to Cry", was released on April 20, 2018 alongside its music video, and debuted and peaked at number three on the Billboard Hot 100. "The Light Is Coming", featuring Minaj, was released as a promotional single on June 20, 2018, along with the pre-order of the album. "God Is a Woman" was released as the second single on July 13, 2018, and peaked at number eight, while the third single "Breathin" debuted at number 22 following the album release and later peaked at number 12. Grande embarked on a series of concerts entitled The Sweetener Sessions to promote the album. In support of both Sweetener and her fifth studio album, Thank U, Next, Grande embarked on the Sweetener World Tour, which began on March 18, 2019 and is set to end on October 13, 2019. Scott Samuel "Scooter" Braun is an American entrepreneur, talent manager, investor, philanthropist, and entertainment executive. The founder of entertainment and media company SB Projects, Braun represents Justin Bieber, Ariana Grande, Martin Garrix, Psy, Carly Rae Jepsen, Dan + Shay, Zac Brown Band, Kanye West, and Tori Kelly among others. He was nominated for a Grammy Award in 2016. Braun is also co-founder of the comic-film studio, Mythos Studios, along with Hollywood producer David Maisel. Whitney Elizabeth Houston was an American singer and actress. She was cited as the most awarded female artist of all time by Guinness World Records and remains one of the best-selling music artists of all time with 200 million records sold worldwide. She released seven studio albums and two soundtrack albums, all of which have been certified diamond, multi-platinum, platinum, or gold by the Recording Industry Association of America (RIAA). Houston's crossover appeal on the popular music charts—as well as her prominence on MTV, starting with her video for "How Will I Know"—influenced several African-American women artists who followed in her footsteps. Beerbongs & Bentleys is the second studio album by American rapper Post Malone, released by Republic Records on April 27, 2018. It succeeds Malone's debut album Stoney, released in 2016. The album features guest appearances from Swae Lee, 21 Savage, Ty Dolla Sign, Nicki Minaj, G-Eazy and YG. It includes production from frequent collaborators Louis Bell and Frank Dukes, alongside London on da Track, Andrew Watt, Tank God, Twice as Nice, Teddy Walton, Scott Storch and PartyNextDoor, among others. The album was supported by five singles: "Rockstar", "Candy Paint", "Psycho", "Ball for Me" and "Better Now", with "Rockstar" and "Psycho" peaking at number one on the US Billboard Hot 100. "It's definitely more personal. You know, I feel like Dangerous Woman was a grown-up My Everything, and this is a grown-up Yours Truly." Missy Elliott (left), Nicki Minaj (center) and Pharrell Williams (right) all perform on the album, with Williams producing multiple tracks. The album's lead single, "No Tears Left to Cry", was released on April 20, 2018 alongside its music video. The track debuted at number three on the US Billboard Hot 100, becoming Grande's ninth Hot 100 top 10 and sixth to debut in the top 10, tying Grande with Lady Gaga and Rihanna in sixth among acts with the most top 10 debuts on the chart. The single made Grande the first artist in the chart's 60-year history to debut in the top 10 with lead single from each of her first four albums. The song also topped the Mainstream Top 40 chart in July 2018, reached number one in nine countries and top-ten in twenty others. The second single, "God Is a Woman", was released on July 13, 2018, with its music video premiering 12 hours after the song's release. The single debuted at number eleven on the Billboard Hot 100 and peaked at number eight, making it Grande's tenth top ten song on the chart and placing her as the twelfth overall artist and seventh female artist with the most Hot 100 top 10s in the 2010s decade. The song also became Grande's second single to top the US Mainstream Top 40 airplay chart from Sweetener, and third overall. "Breathin" was released to US contemporary hit radio as the third single from the album on September 18, 2018. The song has debuted number 22 on the Billboard Hot 100, and peaked at number 12. Its music video, directed by Hannah Lux Davis premiered on November 7, 2018 on her YouTube account. 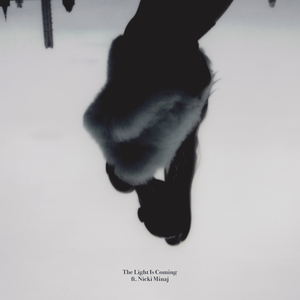 A promotional single, "The Light Is Coming", featuring Nicki Minaj, was released on June 20, 2018, along with the pre-order of the album. The song debuted at number 95 on the Billboard Hot 100 and later peaked at number 89, after the release of the album. 5. "God Is a Woman"
10. 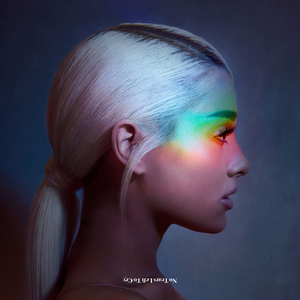 "No Tears Left to Cry"
All track titles are stylized in all lowercase, except "R.E.M" and the proper noun "God" in tracks 4 and 5 respectively. "Goodnight n Go" contains a sample of and incorporates lyrics from "Goodnight and Go", written and performed by Imogen Heap. The Sweetener World Tour is the fourth concert tour by American singer Ariana Grande, in support of her fourth and fifth studio albums Sweetener (2018) and Thank U, Next (2019). The tour began on March 18, 2019 in Albany, New York, and is set to end on October 13, 2019 in Zürich, Switzerland. ↑ "Ariana Grande on Twitter" . Retrieved June 7, 2018– via Twitter. 1 2 3 4 5 6 7 Mapes, Jillian (August 21, 2018). "Ariana Grande: Sweetener". Pitchfork . Retrieved August 21, 2018. 1 2 3 4 McCormick, Neil (August 17, 2018). "Ariana Grande, Sweetener review: Out of the darkness came sweetness". The Daily Telegraph . Retrieved August 17, 2018. ↑ "Ariana Grande Is Already Working On Her Fourth Album". Idolator . November 13, 2016. ↑ "Ariana Grande's Been So 'Inspired' That She Already Made Her Next Album". MTV. ↑ Rice, Nicholas (December 15, 2017). "Ariana Grande Confirms She's Working On Her Fourth Studio Album". Billboard. ↑ "From Ariana to Watt: Catching Up With Scooter Braun's 20 Clients as SB Projects Turns 10". November 22, 2017. ↑ Diderich, Joelle (November 22, 2017). "Pharrell Williams' latest Adidas Originals collaboration is a super-exclusive pair of co-branded Chanel kicks". Los Angeles Times . ↑ Aswad, Jem (April 9, 2018). "Ariana Grande to Drop First Single From New Album on April 27". Variety . ↑ "Is Ariana Grande Collaborating With Aretha Franklin? - MTV UK". MTV. 1 2 Grande, Ariana (December 31, 2017). "See you next year" – via Instagram. ↑ "Ariana Grande's New Single "No Tears Left to Cry" Arrives On April 20 (Update)". Headline Planet. April 16, 2018. 1 2 "Ariana Grande Announces New Song 'No Tears Left to Cry' Out Friday". Billboard. ↑ "Ariana Grande Dishes On New Album 'Sweetener' as She Takes Over 'The Tonight Show'". Billboard. May 2, 2018. Retrieved May 4, 2018. ↑ Lansky, Sam (May 17, 2018). "Ariana Grande Is Ready to Be Happy". Time . ↑ "fifteen ☁️". May 29, 2018 – via Twitter. 1 2 Criswell, Josh (June 2, 2018). "Ariana Grande Reveals 'Sweetener' Album Pre-Order Date". iHeartRadio. Retrieved June 3, 2018. 1 2 "Ariana Grande on Twitter" . Retrieved July 12, 2018– via Twitter. 1 2 Tornow, Sam (July 12, 2018). "Ariana Grande Pushes 'God Is A Woman' Release Date Up: 'Surprise'". Billboard. ↑ "Ariana Grande Talks New Album 'Sweetener,' Says 'It's Definitely More Perseonal". Tigerbeat. August 24, 2018. Retrieved September 17, 2018. 1 2 3 4 Spanos, Brittany (August 20, 2018). "Review: Ariana Grande Finds Serenity and Has Some Fun on Sweetener". Rolling Stone . Retrieved August 20, 2018. 1 2 3 4 5 6 7 8 Erlewine, Stephen Thomas. "Sweetener – Ariana Grande". AllMusic . Retrieved August 23, 2018. ↑ "Can Ariana Grande Save Pop Music from Itself?". Cosmopolotion. August 18, 2018. Retrieved September 20, 2018. ↑ "Ariana Grande Talks Sweetener, Pete Davidson & Nicki Minaj". Zach Sang. August 17, 2018. Retrieved September 20, 2018. ↑ "Sweetener by Ariana Grande on Spotify". Spotify . August 17, 2018. Retrieved September 20, 2018. ↑ Farley, Rebecca (May 2, 2018). "Everything We Know About Ariana Grande's New Album Sweetener". Refinery29 . Retrieved September 20, 2018. ↑ Henderson, Taylor (August 17, 2018). "Ariana Grande's Sweetener: A Track-by-Track Review". Pride. Retrieved September 20, 2018. ↑ Aniftos, Rania (August 17, 2018). "Pharrell on Working With Ariana Grande on 'Sweetener': 'She Really Unzipped'". Billboard . Retrieved September 20, 2018. ↑ Grande, Ariana (May 30, 2018). "the one with P isss called Blazed". Twitter . Retrieved September 20, 2018. ↑ "Ariana Grande Links With Nicki Minaj On 'The Light Is Coming'". Clash Music. June 20, 2018. Retrieved September 20, 2018. ↑ "Ariana Grande Taps Nicki Minaj for New Song "The Light Is Coming": Listen". Pitchfork . June 20, 2018. Retrieved September 20, 2018. 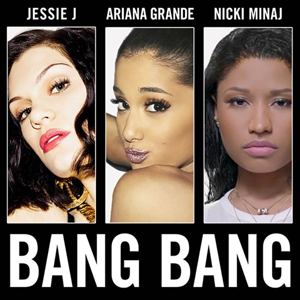 ↑ "Hear Ariana Grande Tap Nicki Minaj for Snappy 'The Light Is Coming'". Rolling Stone . June 20, 2018. Retrieved September 20, 2018. ↑ "Who Is The Man Sampled On Ariana Grande's 'The Light Is Coming'?". PopBuzz. Retrieved September 20, 2018. ↑ "Ariana Grande's 'The Light Is Coming' Contains a Prominent Voice Sample With a Political Message". Billboard . June 21, 2018. Retrieved September 20, 2018. ↑ "REM SLEEP – TYPES AND STAGES OF SLEEP". How Sleep Occurs. Retrieved September 20, 2018. ↑ "Ariana Grande Predicted She Would Marry Pete Davidson Three Years Ago". YouTube . Retrieved September 20, 2018. ↑ "Ariana Grande's "REM" is a flip of a leaked Beyoncé song". Fader. Retrieved September 20, 2018. ↑ Spanos, Britanny. "Watch Ariana Grande's Cosmic New Lyric Video for 'God Is a Woman'". Rolling Stone. Retrieved September 20, 2018. ↑ Neid, Mike. "Ariana Grande's "God Is A Woman" Is A Sexually Liberated Bop". Idolator. Retrieved September 20, 2018. ↑ Lansky, Sam (May 17, 2018). "Ariana Grande Is Ready to Be Happy". Time . Retrieved September 20, 2018. ↑ Hugh, McIntyre. "Ariana Grande Raps And Sings On Cool New Hip-Hop/Pop Hybrid Single 'God Is A Woman'". Forbes. Retrieved September 20, 2018. ↑ Rolli, Bryan. "Review: Ariana Grande's 'God Is A Woman' Might Just Be The Song Of The Summer". Forbes. Retrieved September 20, 2018. ↑ "Ariana Grande Reminds Us That 'God Is a Woman'". Paper Magazine. Retrieved September 20, 2018. ↑ "Ariana Grande "God Is a Woman" Sheet Music in Eb Minor". Musicnotes.com. Retrieved September 20, 2018. ↑ "Ariana Grande "Sweetener"". Genius. Retrieved September 20, 2018. 1 2 3 4 Greenwood, Douglas (August 17, 2018). "Ariana Grande – 'Sweetener' review". NME . Retrieved August 17, 2018. ↑ ""girls feeling good about their own individual success."". Twitter . Retrieved September 20, 2018. ↑ "Premature Evaluation: Ariana Grande Sweetener". Stereogum. August 17, 2018. Retrieved September 20, 2018. ↑ "Ariana Grande, Sweetener review: A portrait of an artist in flux". The Independent. August 17, 2018. Retrieved September 20, 2018. ↑ "Ariana Grande Predicted She Would Marry Pete Davidson Three Years Ago". YouTube . August 16, 2018. Retrieved September 20, 2018. ↑ Caramanica, Jon (April 20, 2018). "The Playlist: Prince's Own 'Nothing Compares 2 U,' and 12 More New Songs". The New York Times . Retrieved September 20, 2018. ↑ He, Richard S. (April 27, 2018). "Every Ariana Grande Song, Ranked". Billboard. Retrieved September 20, 2018. ↑ Savage, Mark (April 20, 2018). "No Tears Left To Cry: Ariana Grande's uplifting new single alludes to Manchester". BBC Music . Retrieved September 20, 2018. ↑ Briones, Issis (September 27, 2017). "48 Hours in Hong Kong With Ariana Grande". Billboard . Retrieved September 20, 2018. ↑ "Replying to @sweetaner @bedwithgrande". Twitter . June 17, 2017. Retrieved September 20, 2018. ↑ "Sweetener by Ariana Grande on iTunes". Apple Music . August 17, 2018. Retrieved September 20, 2018. ↑ Henderson, Taylor (September 17, 2018). "Ariana Grande's Sweetener: A Track-by-Track Review". Pride. Retrieved September 20, 2018. ↑ Grande, Ariana (June 7, 2018). "issa remix & a cover w a few new parts". Twitter . Retrieved September 20, 2018. ↑ Kaplan, Ilana (August 24, 2018). "Imogen Heap Talks Ariana Grande's Version of 'Goodnight and Go': 'It's a Real Gift'". Billboard . Retrieved September 20, 2018. 1 2 3 Petridis, Alexis (August 19, 2018). "Ariana Grande: Sweetener review – pop's ponytailed paragon gets weird". The Guardian . Retrieved August 19, 2018. ↑ Hinzman, Denis (August 17, 2018). "Track-by-Track Review: Ariana Grande's Sweetener Does Not Disappoint". OUT. Retrieved September 20, 2018. ↑ Barbour, Shannon (August 17, 2018). "Fans Think Ariana Grande's New Song "Get Well Soon" Is a Tribute to the Manchester Bombing Victims". Cosmopolitan . Retrieved September 20, 2018. ↑ Rincón, Alessandra (August 17, 2018). "Fans Speculate Ariana Grande's Sweetener Track "Get Well Soon" Is 5:22 Long to Honor Manchester Attack". Billboard . Retrieved September 20, 2018. ↑ Blais-Billie, Braudie; Minsker, Evan (May 1, 2018). "Watch Ariana Grande Cover Kendrick in the Style of Evanescence on "Fallon"". Pitchfork . ↑ Kaufman, Gil (May 20, 2018). "Ariana Grande Opens the Billboard Music Awards With Fiery Performance of 'No Tears Left to Cry'". Billboard. ↑ "Ariana Grande Performs 'The Light is Coming' for the First Time Live: Watch". Billboard. Retrieved June 3, 2018. ↑ Thompson, Rita (August 8, 2018). "Ariana Grande Announces Intimate 'Sweetener Sessions' in New York City, Los Angeles & Chicago". Billboard. Retrieved August 9, 2018. ↑ "Ariana Grande Announces 'Sweetener' World Tour: See the Dates". Billboard. Retrieved October 25, 2018. ↑ Zellner, Xander (April 30, 2018). "Ariana Grande Scores 9th Billboard Hot 100 Top 10 With 'No Tears Left to Cry'". Billboard. Retrieved June 4, 2018. ↑ Trust, Gary (April 30, 2018). "Drake Leads Billboard Hot 100, Ariana Grande Arrives at No. 3 & J. Cole Collects Record Three Debuts in Top 10". Billboard. Retrieved June 4, 2018. ↑ Trust, Gary (July 16, 2018). "Drake's 'In My Feelings' Tops Billboard Hot 100 for Second Week With Record-Breaking 116.2 Million U.S. Streams". billboard. Retrieved August 28, 2018. Just outside the Hot 100's top 10, Ariana Grande launches at No. 11 with "God Is a Woman," the official follow-up single to "Tears" from her album Sweetener, due Aug. 17. Following the July 13 premiere of its official video, "God" starts at No. 4 on Digital Song Sales (42,000) and No. 8 on Streaming Songs (26.5 million). ↑ Anderson, Trevor (August 27, 2018). "Drake's 'In My Feelings' Leads Billboard Hot 100 for Seventh Week, Ariana Grande's 'God Is A Woman' Hits Top 10". Billboard. Retrieved September 9, 2018. ↑ "Top 40/M Future Releases - Mainstream Hit Songs Being Released and Their Release Dates". All Access. September 18, 2018. Archived from the original on September 18, 2018. Retrieved September 18, 2018. ↑ "Sweetener by Ariana Grande reviews". AnyDecentMusic? . Retrieved August 28, 2018. 1 2 "Sweetener by Ariana Grande Reviews and Tracks". Metacritic . Retrieved August 31, 2018. ↑ Fitzmaurice, Larry (August 20, 2018). "Ariana Grande's Sweetner is a sneakily complex pop album". Entertainment Weekly . Retrieved August 20, 2018. 1 2 Solomon, Kate (August 17, 2018). "Ariana Grande, Sweetener review: A portrait of an artist in flux". The Independent . Retrieved August 17, 2018. ↑ Bruton, Louise (August 17, 2018). "Ariana Grande: Sweetener – celebrating the art of being okay". The Irish Times . Retrieved August 17, 2018. 1 2 Christgau, Robert (March 23, 2019). "Robert Christgau on Ariana Grande's Garden of Sonic Delights". Vice . Retrieved March 23, 2019. ↑ "50 Best Albums of 2018: Critics' Picks". Billboard. Retrieved December 10, 2018. ↑ Bernucca, Carolyn. "The 50 Best Albums of 2018". Complex. Retrieved December 7, 2018. ↑ Suskind, Alex. "The 20 best albums of 2018". Entertainment Weekly. Retrieved December 7, 2018. ↑ Barnes, Shane (December 7, 2018). "The 25 Best Albums of 2018". Flavorwire. Retrieved December 8, 2018. ↑ Firth, Abigail (December 3, 2018). "The Best Albums of 2018". The Line of Best Fit . Retrieved December 10, 2018. ↑ Pareles, Jon; Caramanica, Jon (December 6, 2018). "The 28 Best Albums of 2018". The New York Times. Retrieved December 7, 2018. ↑ O'Neill, Lauren. "The 100 Best Albums of 2018". Noisey. Retrieved December 7, 2018. ↑ McKenna, Lyndsey. "The 50 Best Albums Of 2018". NPR. Retrieved December 7, 2018. ↑ "The 50 Best Albums of 2018". Pitchfork . Retrieved December 11, 2018. ↑ "The 50 Best Albums of 2018". Rolling Stone . December 13, 2018. Retrieved December 14, 2018. ↑ "20 Best Pop Albums of 2018". Rolling Stone . December 14, 2018. Retrieved December 14, 2018. ↑ Gray, Julia (December 4, 2018). "The 50 Best Albums Of 2018". Stereogum. Retrieved December 8, 2018. ↑ Gilke, Chloe (December 3, 2018). "The 50 Best Albums Of 2018". Uproxx. Retrieved December 8, 2018. ↑ Macki, Johnni (September 5, 2018). "2018 People's Choice Awards: Complete List of Nominations". E! . United States. Retrieved December 7, 2018. ↑ "Here Are All the Winners From the iHeartRadio Music Awards 2019". Billboard. March 14, 2019. Retrieved March 15, 2019. ↑ Zellner, Xander (August 28, 2018). "Ariana Grande Returns to No. 1 On the Artist 100 Chart, Aretha Franklin Reaches No. 2". Billboard . Retrieved September 30, 2018. ↑ Caulfield, Keith (September 2, 2018). "BTS Scores Second No. 1 Album on Billboard 200 Chart With 'Love Yourself: Answer'". Billboard. Retrieved September 2, 2018. ↑ Caulfield, Keith (September 9, 2018). "Eminem Earns Ninth No. 1 Album on Billboard 200 Chart With 'Kamikaze'". Billboard. Retrieved September 9, 2018. ↑ "Official Singles Chart Top 100: 24 August 2018 – 30 August 2018". Official Charts Company . Retrieved August 25, 2018. ↑ "Sweetener lands Ariana Grande third #1 album". Australian Recording Industry Association. August 25, 2018. Retrieved August 25, 2018. ↑ "ARIA Chart Watch #487". auspOp. August 25, 2018. Retrieved August 25, 2018. ↑ "Sweetener by Ariana Grande". Tidal . Canada. Retrieved January 23, 2019. 1 2 "アリアナ・グランデ『Sweetener』特設サイト". Universal Music Japan. Retrieved August 17, 2018. ↑ Farley, Rebecca (May 2, 2018). "Everything We Know About Ariana Grande's New Album Sweetener". Refinery29 . Retrieved August 18, 2018. ↑ Hussein, Wandera (July 30, 2018). "Ariana Grande's "REM" is a flip of a leaked Beyoncé song". Fader (thefader.com). Retrieved September 19, 2018. ↑ "Australiancharts.com – Ariana Grande – Sweetener". Hung Medien. Retrieved August 25, 2018. ↑ "Austriancharts.at – Ariana Grande – Sweetener" (in German). Hung Medien. Retrieved August 30, 2018. ↑ "Ultratop.be – Ariana Grande – Sweetener" (in Dutch). Hung Medien. Retrieved August 24, 2018. ↑ "Ultratop.be – Ariana Grande – Sweetener" (in French). Hung Medien. Retrieved August 24, 2018. ↑ "Ariana Grande Chart History (Canadian Albums)". Billboard. Retrieved August 28, 2018. ↑ "Danishcharts.dk – Ariana Grande – Sweetener". Hung Medien. Retrieved August 29, 2018. ↑ "Dutchcharts.nl – Ariana Grande – Sweetener" (in Dutch). Hung Medien. Retrieved August 24, 2018. ↑ "Ariana Grande: Sweetener" (in Finnish). Musiikkituottajat – IFPI Finland. Retrieved August 26, 2018. ↑ "Lescharts.com – Ariana Grande – Sweetener". Hung Medien. Retrieved August 27, 2018. ↑ "Offiziellecharts.de – Ariana Grande – Sweetener" (in German). GfK Entertainment Charts. Retrieved August 24, 2018. ↑ "Top 40 album DVD és válogatáslemez-lista – 2018. 34. hét" (in Hungarian). MAHASZ. Retrieved August 30, 2018. ↑ "Irish-charts.com – Discography Ariana Grande". Hung Medien. Retrieved August 25, 2018. ↑ "Italiancharts.com – Ariana Grande – Sweetener". Hung Medien. Retrieved August 25, 2018. ↑ 27, 2018/ "Oricon Top 50 Albums: August 27, 2018" (in Japanese). Oricon. Retrieved August 24, 2018. ↑ "Japanese Hot Albums". Billboard Japan (in Japanese). Retrieved September 3, 2018. 1 2 3 "Los más vendidos 2018" (in Spanish). Asociación Mexicana de Productores de Fonogramas y Videogramas. Archived from the original on January 24, 2019. Retrieved January 24, 2019. ↑ "Charts.org.nz – Ariana Grande – Sweetener". Hung Medien. Retrieved August 24, 2018. ↑ "Norwegiancharts.com – Ariana Grande – Sweetener". Hung Medien. Retrieved August 24, 2018. ↑ "Oficjalna lista sprzedaży :: OLiS - Official Retail Sales Chart". OLiS. Polish Society of the Phonographic Industry. Retrieved August 30, 2018. ↑ "Portuguesecharts.com – Ariana Grande – Sweetener". Hung Medien. Retrieved August 30, 2018. ↑ "Official Scottish Albums Chart Top 100". Official Charts Company. Retrieved August 25, 2018. ↑ "Gaon Album Chart – Week 36, 2018" (in Korean). Gaon . Retrieved September 13, 2018. ↑ "Spanishcharts.com – Ariana Grande – Sweetener". Hung Medien. Retrieved August 28, 2018. ↑ "Swedishcharts.com – Ariana Grande – Sweetener". Hung Medien. Retrieved August 24, 2018. ↑ "Swisscharts.com – Ariana Grande – Sweetener". Hung Medien. Retrieved August 29, 2018. ↑ "Official Albums Chart Top 100". Official Charts Company. Retrieved August 25, 2018. ↑ "Ariana Grande Chart History (Billboard 200)". Billboard. Retrieved December 29, 2018. ↑ "South Korean Albums - September 2018". Gaon. Retrieved December 31, 2018. ↑ "2018 Annual ARIA Albums Chart". Australian Recording Industry Association. Retrieved January 10, 2019. ↑ "Album Top-100 2018" (in Danish). Hitlisten. Retrieved January 16, 2019. ↑ "Jaaroverzichten – Album 2018" (in Dutch). MegaCharts. Retrieved January 5, 2019. ↑ "Ireland's Official Top 40 biggest albums of 2018". Official Charts Company. Retrieved January 5, 2019. ↑ "Classifiche Annuali Top of the Music FIMI/GfK 2018: Protagonista La Musica Italiana" (Download the attachment and open the albums file) (in Italian). Federazione Industria Musicale Italiana. January 7, 2019. Retrieved January 11, 2019. ↑ "Top Selling Albums of 2018". Recorded Music NZ. Retrieved December 13, 2018. ↑ "South Korean Oversea Albums - 2018". Gaon. Retrieved January 17, 2019. ↑ "Årslista Album – År 2018" (in Swedish). Sverigetopplistan. Retrieved January 15, 2019. ↑ "End of Year Album Chart Top 100 – 2018". Official Charts Company. Retrieved January 3, 2019. ↑ "Top Billboard 200 Albums – Year-End 2018". Billboard. Archived from the original on December 4, 2018. Retrieved December 4, 2018. ↑ "ARIA Australian Top 50 Albums". Australian Recording Industry Association. February 25, 2019. Retrieved February 23, 2019. ↑ "Brazilian album certifications – Ariana Grande – Sweetener" (in Portuguese). Associação Brasileira dos Produtores de Discos . Retrieved December 22, 2018. ↑ "Canadian album certifications – Ariana Grande – Sweetener". Music Canada . Retrieved November 16, 2018. ↑ "Danish album certifications – Ariana Grande – Sweetener". IFPI Denmark. Retrieved January 15, 2019. Scroll through the page-list below until year 2019 to obtain certification. ↑ "French album certifications – Ariana Grande – Sweetener" (in French). Syndicat National de l'Édition Phonographique . Retrieved January 14, 2019. ↑ "Italian album certifications – Ariana Grande – Sweetener" (in Italian). Federazione Industria Musicale Italiana . Retrieved January 28, 2019. Select "2019" in the "Anno" drop-down menu. Select "Sweetener" in the "Filtra" field. Select "Album e Compilation" under "Sezione". ↑ "New Zealand album certifications – Ariana Grande – Sweetener". Recorded Music NZ. February 25, 2019. Retrieved February 22, 2019. ↑ "Ariana Grande – Sweetener" (in Swedish). Grammofon Leverantörernas Förening . Retrieved October 7, 2018. 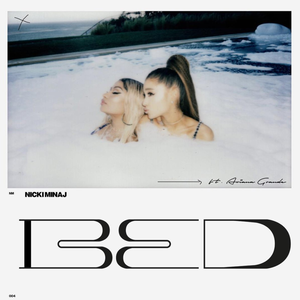 ↑ "British album certifications – Ariana Grande – Sweetener". British Phonographic Industry. Select albums in the Format field. Select Gold in the Certification field. Type Sweetener in the "Search BPI Awards" field and then press Enter. ↑ "American album certifications – Ariana Grande – Sweetener". Recording Industry Association of America . Retrieved April 8, 2019. If necessary, click Advanced, then click Format, then select Album, then click SEARCH. ↑ "Ariana Grande - Sweetener". Universal Music Group. ↑ "Sweetener Cassette + Album – Ariana Grande Official Store". Universal Music Group. ↑ "Sweetener Vinyl + Album – Ariana Grande Official Store". Universal Music Group.